Hurricane activity can have a devastating effect, leaving thousands of families — and homes — affected. For several years, Raven Engineered Films has provided necessary disaster relief film, used as temporary covers, to the displaced residents of these communities until permanent repairs can be made. It can often take several months before contractors are able to start the process of making these damaged homes habitable. In the interim, these covers allow displaced homeowners to return to their homes while recovering from the impact of the hurricane. In response to a recent order for disaster relief film, the Raven Engineered Films team grew by a handful of team members. In addition to volunteer team members from across our organization, the Engineered Films team also partnered with LifeScape for the assembly of tarp grabber kits. These kits, which are up to four times stronger than standard brass grommets, are used to secure our hurricane recovery film products. LifeScape’s mission is to “empower children and adults with disabilities to lead fulfilling lives.” They offer many services in our community, including inpatient housing, job skills training, and much more. Their clients have the opportunity to lead full lives and contribute to our community through meaningful work opportunities. Authenticity: The people served by LifeScape who are working on our assembly are genuine and trustworthy. They are passionate about the work they are doing for Raven and for those impacted by recent disasters. Service: The team at LifeScape continues to meet our needs and the needs of many others in the community. 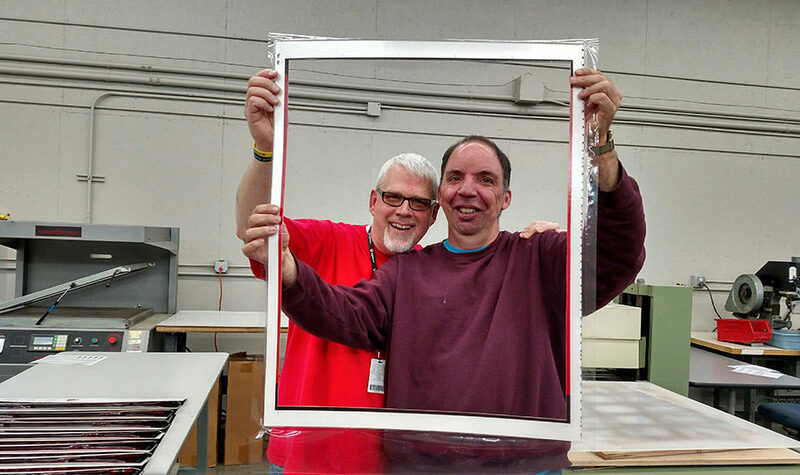 They offer services that not only provide meaningful work and training for individuals with disabilities, but they help businesses meet customer expectations. Integrity: The staff and clients at LifeScape are honest, reliable and steadfast. They do what they say they are going to do for each other and their customers. Over the course of the last few weeks, as well as in the coming months, LifeScape will help Raven fulfill a large order in response to natural disasters in the United States. The team at Raven Engineered Films enjoys collaborating with LifeScape on projects. It was rewarding to see them produce quality products with eagerness and compassion for the ultimate customers — those impacted by hurricanes. They valued the opportunity to contribute to a meaningful project and look forward to future opportunities. We are grateful to companies like Raven that see the value in the workforce provided by those people supported at LifeScape. Our workers are passionate about doing fulfilling work and being valued and contributing members of our community. We are grateful for this partnership.